As previously reported, next week's "Wendy Show" will have guest hosts taking over the main spot on her show. And Nick Cannon is taking over for a couple days, of all people. Y'all know if nothing else, Nick knows how to secure a bag. He also doesn't hold on to hard feelings (Wendy called his son Golden a break baby when he was a guest on her show last month), like ever. No return date has been set for Wendy herself. 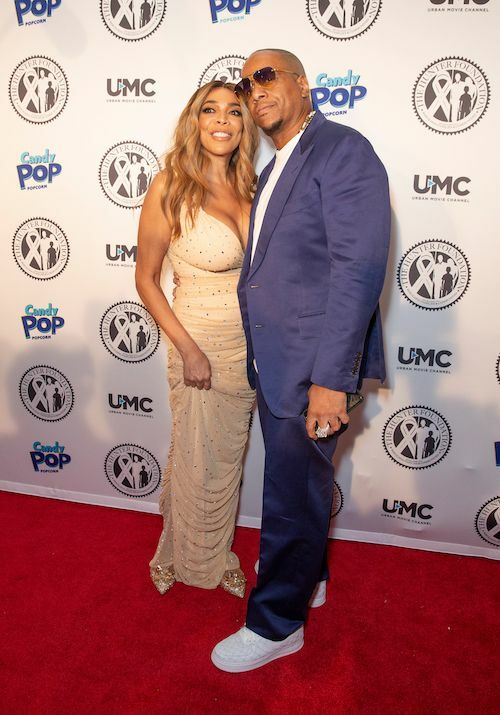 While Wendy never explained how, exactly, she got that hairline fractured shoulder, her husband Kevin Hunter got put on blast last week by his own mother, allegedly. If you believe the National Enquirer, they claim to have spoken to Pearlet Hunter who supposedly told them that Kevin allegedly hurt Wendy's shoulder. She went into detail, allegedly, about past and present physical abuse.